CEO Christian Sewing focused on the positives, such as the fact that over the full year 2018, it made a profit for the first time in three years. 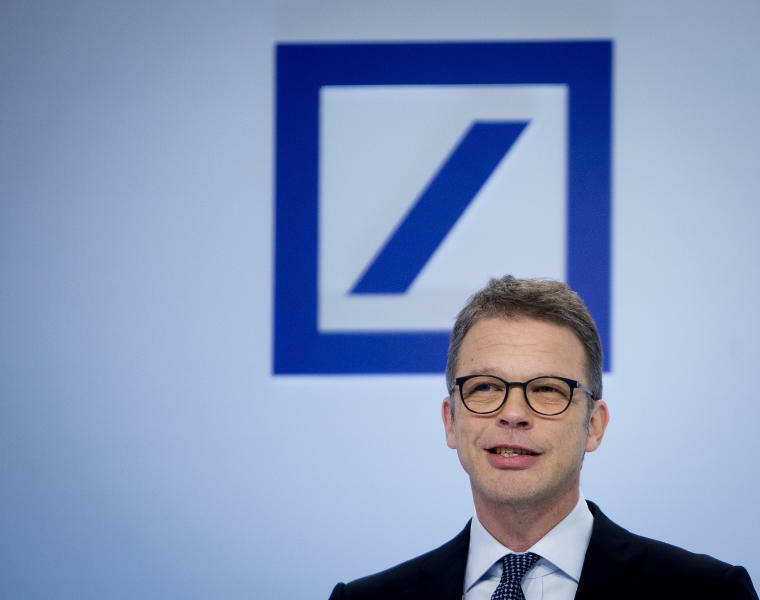 The net income of 341 million euros ($390 million), up from a loss of 735 million euros in 2017, "shows that Deutsche Bank is on the right track," he said. He said the bank's next goals were to continue cutting costs and to grow profitability "substantially" this year and beyond. So far, investors are not convinced. The bank's shares have fallen 47 percent over the past 12 months. 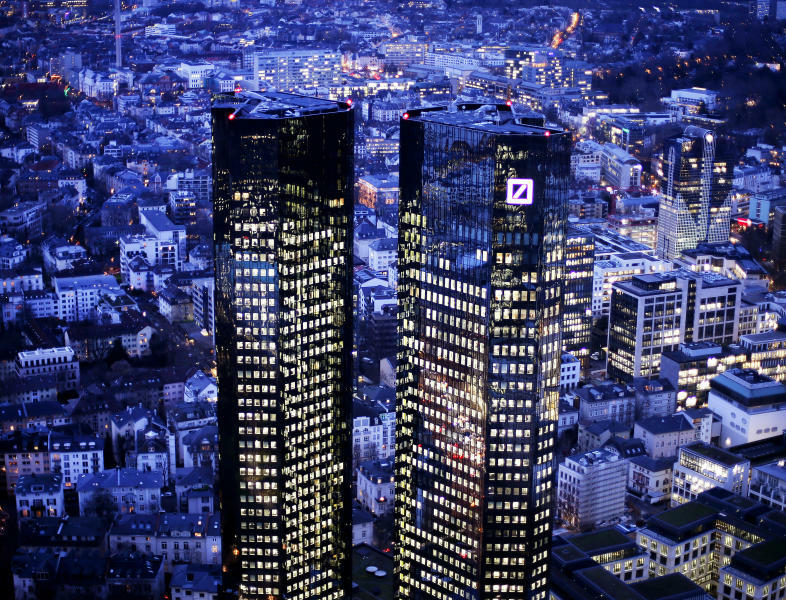 Shares fell 4.4 percent Thursday on speculation that Deutsche Bank might merge with smaller German rival Commerzbank. Shares traded down another 3.6 percent on Friday. Sewing, asked about a potential merger, said last week that his first goal was restoring profitability and that a merger was "beyond what I'm currently thinking of." On Friday, he declined to comment on the merger talk. Deutsche Bank's latest legal troubles include inquiries from regulators about transactions related to Danske Bank, whose Estonian branch is suspected of laundering money from the former Soviet Union. The bank says there are "no probes" involving it but that it has received several request for information from regulators and law enforcement agencies around the world and is cooperating with them. It says it processed payments for Danske bank but terminated the relationship in 2015 after identifying suspicious activity by its clients. 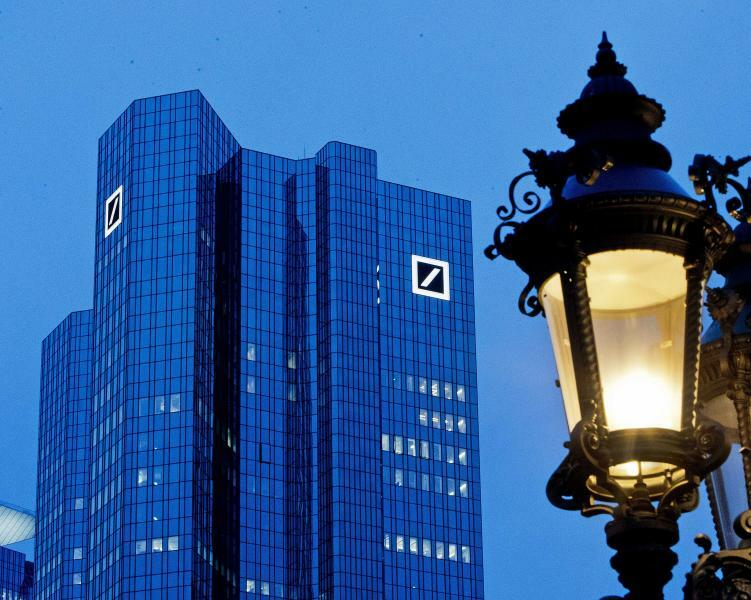 Authorities also searched the bank's headquarters in Frankfurt, Germany, in November as part of an investigation into suspicions that bank employees helped set up offshore accounts used to launder money. Prosecutors said the probe emerged from documents leaked from tax havens including the 2016 "Panama Papers." The bank was fined more than $600 million by U.S. and U.K. authorities in January 2017 for allowing customers to transfer $10 billion out of Russia in what regulators said was "highly suggestive of financial crime." The bank says it is "engaged in a productive dialogue with those committees" and that it is "committed to providing appropriate information to all authorized investigations." On Friday, chief administrative officer Karl von Rohr said that "we have always said that we will answer a legally correct inquiry, and if we get a legal inquiry from Congress as an institution we will consequently answer it" but could not answer questions from individual U.S. lawmakers. He would not say whether the bank has received a formal subpoena from Congress.